Who’d have thought that the sequel to a reboot of an ‘80s teen drama would end up being one of the best films of 2014? Not us, certainly. But our cheeks are still hurting from laughing at 22 Jump Street (which, considering it was nearly 2 weeks ago, we should probably go and see the doctor about). Before 22 Jump Street, there was The Other Guys. It only came out in 2009, but it’s already been overshadowed by the younger, hip comedy of Hill and Tatum. It’s a bit of a shame really, because The Other Guys is actually very funny. Imagine Lethal Weapon mixed with Anchorman and you’ve more or less got the idea, with Will Ferrell and Mark Wahlberg playing a couple of bungling detectives investigating a high profile case. Ferrell is obviously funny but the big surprise is Mark Wahlberg, who is genuinely hilarious as temperamental man-child Terry Holtz. It’s not quite as funny as 22 Jump Street, but (as far as comedy buddy cop movies go) it’s the next best thing. Seth Rogen and James Franco play a couple of stoners who accidentally end up on the wrong side of a crazed drug lord, combining the laid-back cringe humour Rogen is known for with a fair few action sequences. Although it’s not the best known of Rogen’s movies, it’s probably one of his best. Like 22 Jump Street and The Other Guys though, it’s the ‘serious’ half of the duo that surprises the most; James Franco (better known for being the Green Goblin’s moody son at this point) steals the show as a lovable drug dealer with a heart of gold and a very cool pair of pajama pants. No cop-based comedy in this one, but it stars Jonah Hill and Channing Tatum. There’s also a who’s-who of comedy, with Seth Rogen, Jay Baruchel, James Franco, Danny McBride, Craig Ferguson, Jason Segel and Michael Cera all making an appearance. Although the film is supposedly about the end of the world, and what it’d be like to experience that at James Franco’s house, it’s actually about the power of friendship and brotherhood in the face of adversity – a bit like 22 Jump Street. Oh, and it’s also got lots of rude jokes. Another film about the power of bromance, I Love You, Man is a very underrated comedy starring Paul Rudd as a man with a beautiful fiancee but no male friends. He goes on a string of ‘dates’ to find a best man for his wedding and eventually meets Jason Segel. It’s not as fast-paced or as in your face as Jump Street, but Rudd and Segel are every bit as funny a duo as Hill and Tatum. A comedy from our own shores, Hot Fuzz is the 2nd part of Simon Pegg, Nick Frost and Edgar Wright’s legendary Cornetto Trilogy. Buddy cop movies are up for the Cornetto treatment this time, with top cop Nicholas Angel sent from the mean streets of London to the sleepy streets of Gloucestershire for being too good at his job. Hot Fuzz is almost the perfect parody of the cop genre and throws in enough action to keep things interesting too. 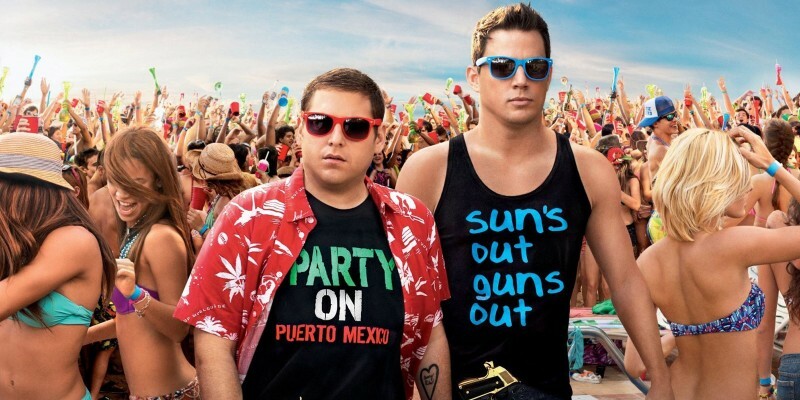 What films would you recommend that are similar to 22 Jump Street? Share your suggestions on Facebook, Twitter or in the comments!